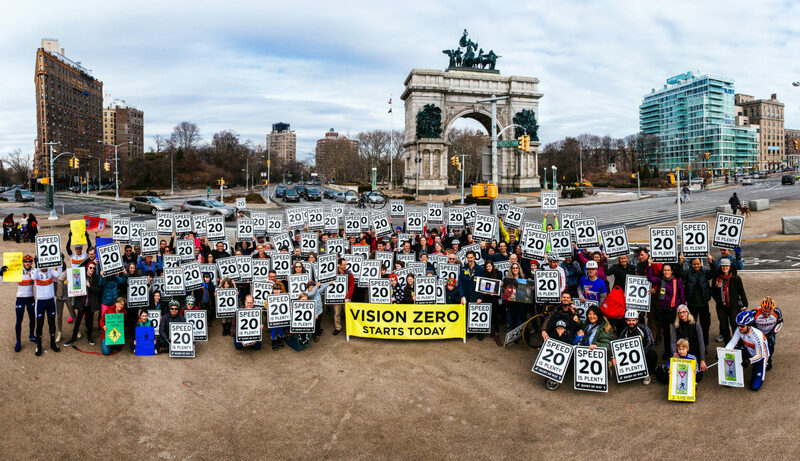 Is Vision Zero doomed? Queens Supreme Court Justice Gia Morris ruled [Friday] that New York City's comprehensive traffic safety initiative, launched in 2014, violates defendants' constitutional right to due process. Morris's ruling advanced the argument that in asking drivers involved in pedestrian collisions to prove that they were driving recklessly, Vision Zero violates the presumption of innocence guaranteed by the Fifth and Fourteenth amendments. The case in question was that of school bus driver Isaac Sanson, who in December 2014 struck and killed an elderly pedestrian in a Forest Hills crosswalk, DNAinfo reports. 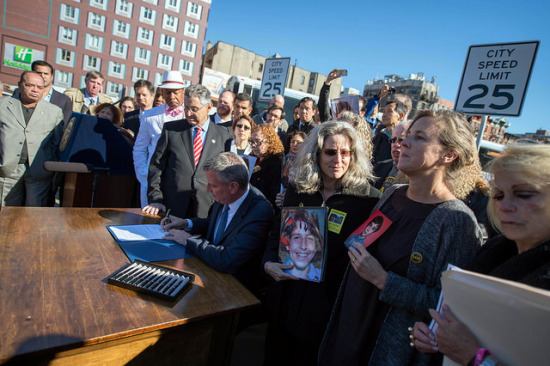 "[The Vision Zero misdemeanor] is a vital tool to hold accountable drivers who seriously injure or kill pedestrians with the right of way while driving dangerously. This is an important piece of Vision Zero's comprehensive approach to reducing death and serious injury on our streets. 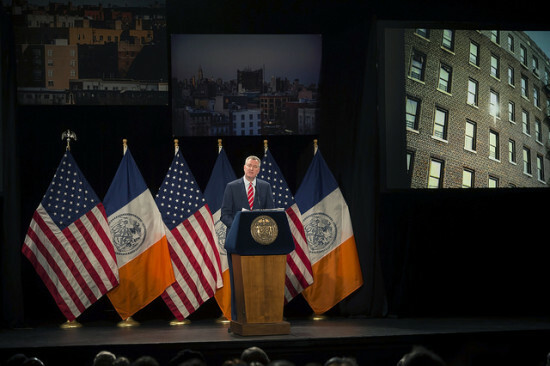 We disagree with the court's non-binding decision and will continue to investigate, enforce, and charge this law," said de Blasio spokesman Austin Finan. 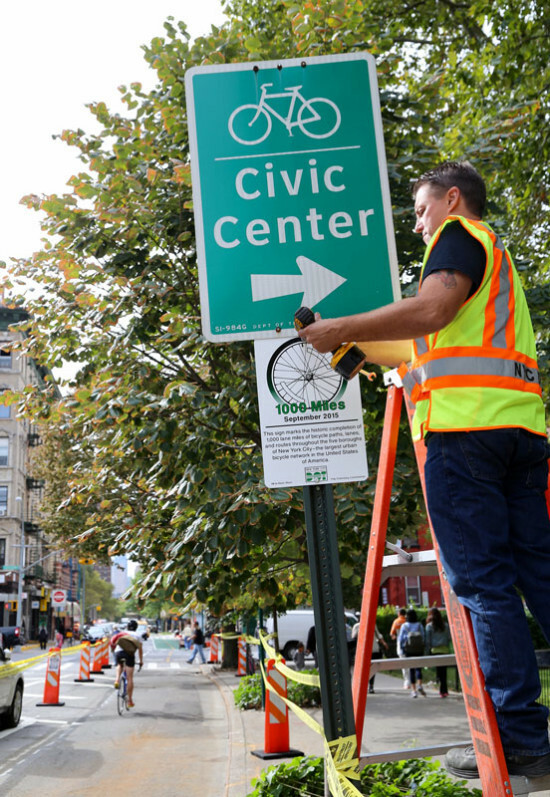 A spokesman decried Morris's decision and noted that the mayor's office will continue to encourage police officers to enforce city administrative code 19-190, or failure to yield when a bicyclist or pedestrian has the right of way. This is not the first time Vision Zero has wound up in court. 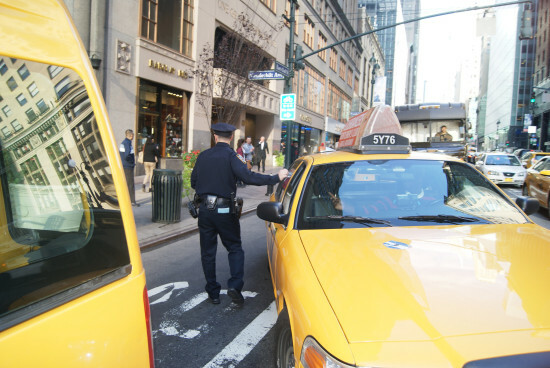 In January, Manhattan Judge Ann Scherzer defended the constitutionality of 19-190, ruling against a driver charged with a misdemeanor under 19-190 for killing a pedestrian on the Upper East Side. 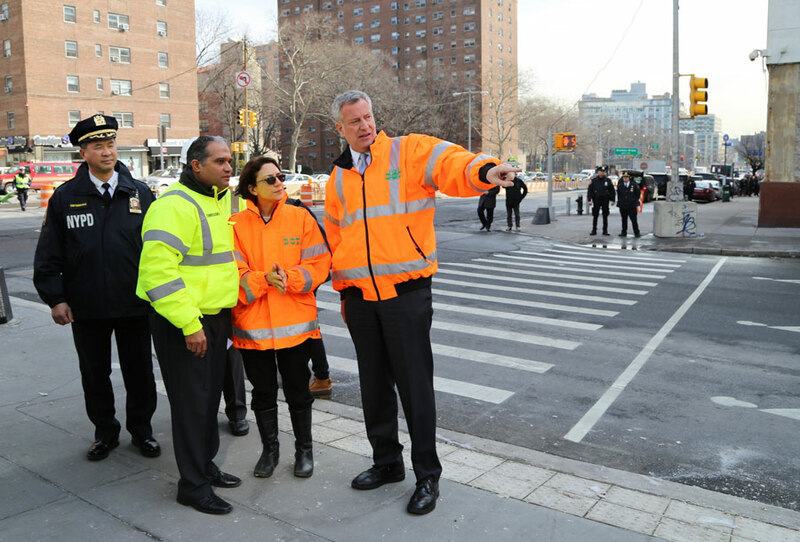 Despite vociferous opposition to the program from powerful entities like the Transit Workers Union, arrests for Vision Zero violations are up from last year. The Queens District Attorney hasn't yet decided whether to appeal Justice Morris's ruling, which can be viewed here. Philadelphia officially recognizes cyclists as a constituency deserving special protection. 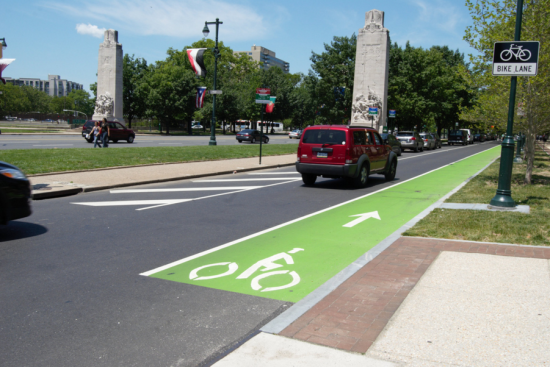 This week, Mayor Jim Kenney announced the creation of a "Complete Streets Commissioner," a new position in city government to oversee the creation of more bike-friendly infrastructure. But the story gets complicated from there. Historically, Kenney is not the most ardent supporter of "complete streets," a term coined by the National Complete Streets Coalition to describe roads harmoniously designed for cyclists, pedestrians, public transportation users, and cars. In 2009, as a City Council member, Kenney introduced legislation to up fines for headphone-wearing bike riders. His co-legislators are not too enthused about bikes, either: The same City Council gave itself veto power over proposed bike lanes in 2012. The Bicycle Coalition of Greater Philadelphia lead the creation of the commissioner position. According to Philadelphia Magazine, the Bicycle Coalition organized a mayoral forum for Democratic candidates, where each would-be mayor claimed to support "Vision Zero" objectives. The group issued a platform last year during election season, outlining reforms needed to make safer streets. Sarah Clark Stuart, executive director of the Bicycle Coalition, maintains that "creating a commissioner who is thinking about and looking at all transportation modes, and how to make them safer and work better for everyone, that is new. And what that signals is that there is a dedicated, high-ranking official who is assigned the responsibilities to marshall citywide resources and set policy toward the goal of making Philadelphia's streets safer for everyone." Why isn't Philadelphia's Office of Transportation & Utilities assuming these responsibilities? In a shift towards a "strong-managing-director form of government," Kenney is simultaneously creating the Complete Streets Commissioner position while closing the Office of Transportation & Utilities. Clarena Tolson, the Deputy Managing Director of Transportation & Infrastructure, will continue to oversee street maintenance, water, some of the complete streets program, as well as synchronize operations of the Philadelphia Energy Authority and SEPTA. There's no word yet on the application process. Urbanists, keep your ears peeled. The New York City Department of Transportation (NYCDOT) announced this week that it has created 1,000 miles of bike lanes (map) across the five boroughs. The 1,000th mile, on which just opened along Clinton Street in Lower Manhattan, is one of twelve new miles planned for 2015. Unsurprisingly, Brooklyn has the greatest stretch of dedicated bike lanes (310.7 miles), though Manhattan has the most lanes (around 122 miles) entirely separate from car traffic. New York City's 1997 Bike Master Plan called for 1,800 miles of bike lanes across the five boroughs. Current projects focus on creating safer streets, maintaining continuity between existing bike lanes, and meeting demand where ridership is high. 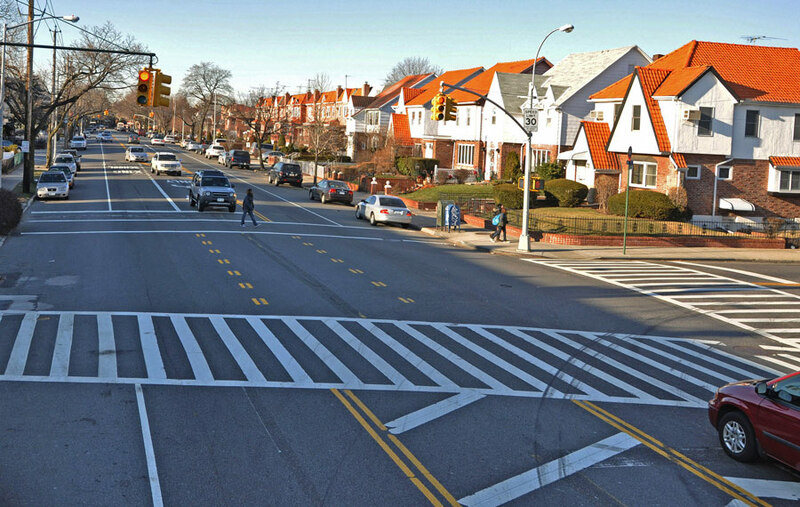 As part of the Vision Zero transportation safety initiative, Woodside, Queens, is getting protected bike lanes on Queens Boulevard (a.k.a. the Boulevard of Death) between 73rd Street and Roosevelt Avenue. As part of a Complete Streets program, an east-west bike lane along 165th Street in the Bronx will connect north-south routes in the borough. This year, after some delay, upgraded bike lanes came to the Pulaski Bridge. The bridge is a key conduit between Brooklyn and Queens that has seen its ridership more than double since 2009. The full list of proposed and in progress bicycle route improvements in New York City can be found here. Vision Zero is coming to the dangerous and traffic-clogged Manhattan Bridge approach in Chinatown. 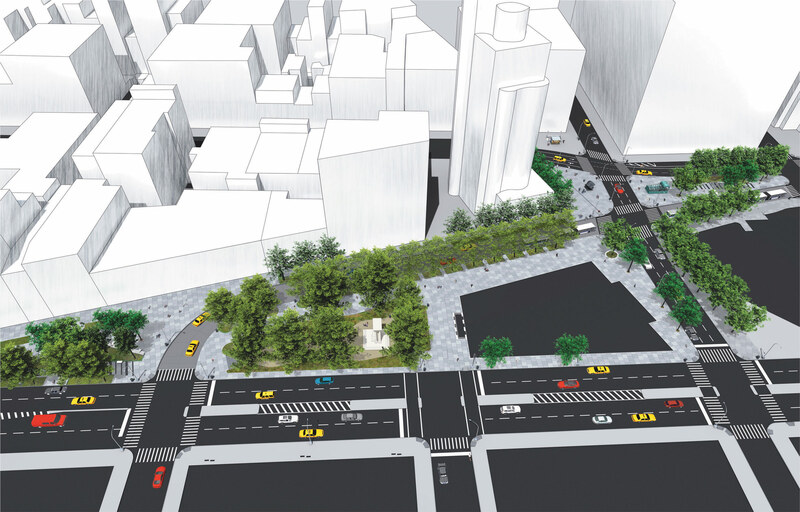 The New York City Department of Transportation (NYCDOT) has presented a plan to rearrange the tangle of streets that connect to the bridge, create new space for pedestrians, and update traffic flows. It doesn't take any expert knowledge in transportation policy to see why the area has been labeled as a "high crash corridor" by the NYCDOT. There are a lot of cars, unclear and changing alignments, and street markings that are faded, if present at all. For pedestrians, getting from one side of the street to another can be a harrowing experience. The Bowery crossing, for example, is almost 90 feet wide. But that could all change soon. Perhaps the most significant change in the plan is the rerouting of traffic. Currently, the bridge's lower roadway heads toward Brooklyn from 3:00–9:00p.m., but the NYCDOT wants to make it Manhattan-bound at all times instead. This would allow for a large curb extension right in front of the bridge. 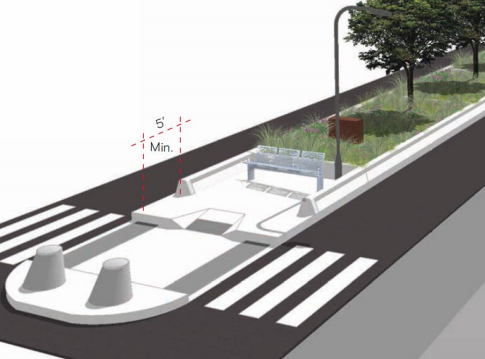 Crossing distances for those on foot would be reduced further by the expansion of two existing pedestrian islands. These new areas would include planters, so the plan comes with some greenery too. 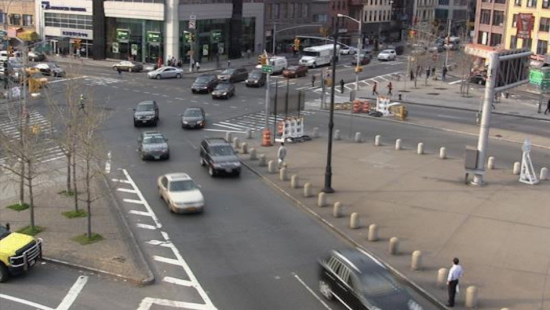 Over on Bowery, a concrete median extension would provide pedestrian refuge in the middle of the busy roadway. The DOT also proposes new marked sidewalks and signaled intersections to further clear things up. 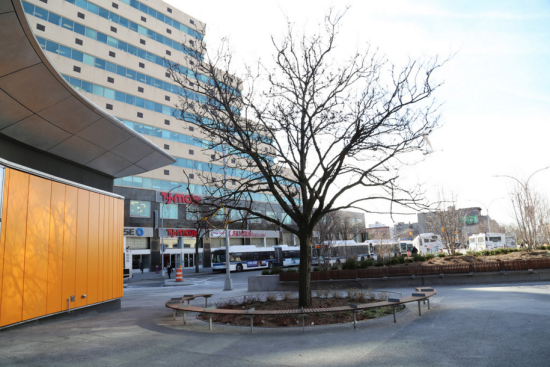 This plan comes as construction continues on a long-talked-about scheme to turn a triangular plot next to the Manhattan Bridge into the Forsyth Street Plaza. The 10,000-square-foot pedestrian space will cost about $3.5 million and is slated to be completed spring 2016. As for the NYCDOT plan, Streetsblog reported that it will be voted on by Community Board 3 on May 26. If approved, work would start this summer and wrap up in the fall.